At Lion Gate Pest Control, our AHB certified technicians can exterminate any colony, remove almost any hive in a structure, and repair all affected areas. 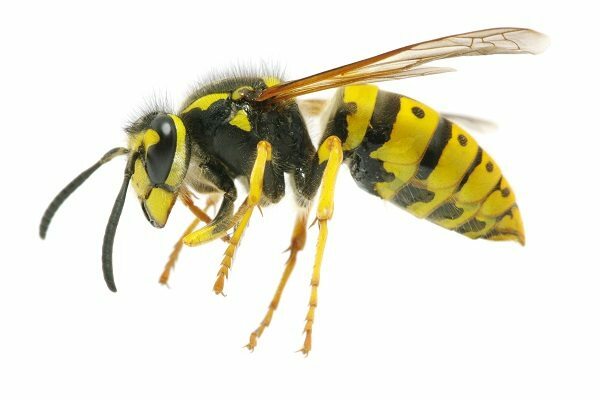 Bee and wasp removal is an area of specialization with our company, and we offer complete perimeter sweeps to eliminate all traces of nests and hives. Serving Tujunga, Burbank, Pasadena, Tarzana, Woodland Hills, Glendale, Encino, Studio City, West Hills and the surrounding areas of Los Angeles County, we can provide effective bee and wasp solutions that will help restore your comfort level and peace of mind. The Africanized Honey Bee (AHB) is a more recent addition to our state. It is known as the more aggressive relative of the European Honey Bee (EHB). The AHB has taken an interesting path to become established in Southern California. After being released in Brazil, AHB’s then spread through Central America and up into North America. They were first reported in Mexico in 1985. Only five years later, the first AHB’s were found in the U.S.A., at the Texas border town of Hidalgo in October of 1990. The first California record was in Blythe in 1994. Los Angeles didn’t have to wait long, with its first AHB colony discovered in the City of Lawndale in 1998. Today, most counties in Southern California are considered colonized by Africanized Honey Bees. AHB vs. EHB – How are they different? AHB’s tend to swarm more times per year than the EHB’s. They will also fly further before establishing a new hive. AHB’s have a shorter development time. They go from egg to emerging adult in fewer days than EHB’s. AHB’s fill a higher percentage of their comb with developing bees (brood) as opposed to storing honey for winter as the EHB’s are known to do. AHB’s (on average) are slightly smaller than EHB’s. The difference that concerns us most, is the more aggressive nature of the AHB’s when their hive is disturbed. Africanized Honey Bees respond more quickly when disturbed than do EHB’s. They send out three to four times as many workers in response to a threat. They will also pursue an intruder for a greater distance from the hive. An important thing to remember is that the behavior of even a single AHB or EHB colony can vary greatly on any given day. Inappropriately labeled “Killer Bees”, the sting of the AHB is no more venomous than that of the EHB. Each bee delivers only one sting. AHB are more aggressive and more bees deliver stings than EHB, resulting in more venom. 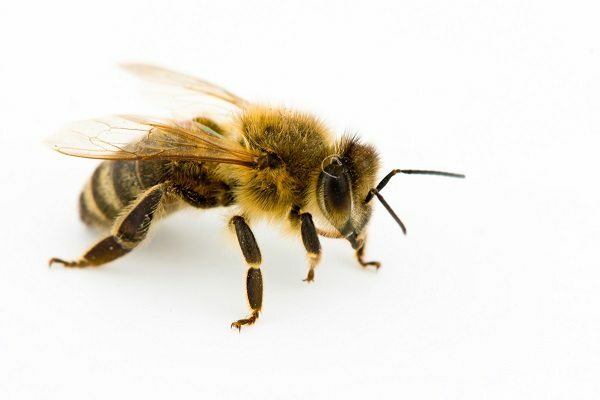 Although people have died as a result of 100-300 stings, it has been estimated that the average lethal dose for an adult is 500-1,100 bee stings. The Technical Working Group of the USDA is recommending that beekeepers not attempt to manage Africanized colonies. They should requeen, move, or destroy such colonies. Even a few colonies of defensive bees in an apiary (commercial bee hive) may cause problems. Weather, season and food availability can affect the demeanor of any honey bee colony. Consequently, predicting times when a colony may become defensive is difficult. 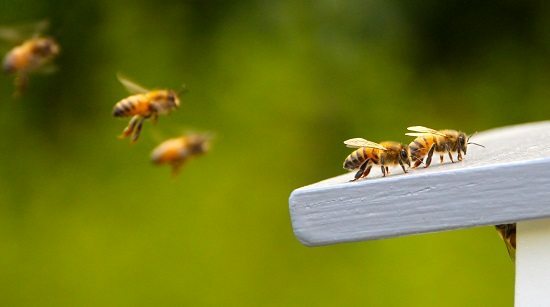 Unprepared beekeepers are at risk of being seriously stung. At Lion Gate Pest Control, our AHB Certified Technicians can exterminate the colony, remove most any hive in a structure and repair or replace portions of the affected area. FINALLY! Our 1st story Wasp and Nest removal comes in handy during those hot summer months when the kids are in the pool, why not have Lion Gate Pest Control complete a perimeter eave pest elimination sweep under your 1st Story Eaves? Call us at 800-587-7015 today! Located in Tujunga, CA, Lion Gate Pest Control is a bee & wasp exterminator serving Burbank, Pasadena, Glendale, Studio City, Tarzana, Woodland Hills, Encino, West Hills, and surrounding areas of Los Angeles.